We are all familiar with the challenges of Canberra’s turbulent weather conditions and there is nothing that carries the weight of that challenge more than your home’s roof. It is working tirelessly around the clock to protect you and your family from the elements, keeping you warm, dry and comfortable. It can be quite a strain and sometimes your roof needs a little help to make sure it is up to the task. In Canberra the next storm is never far around the corner and if you need roof repairs you should contact National Capital Roofing immediately. When is a roof repair necessary? Mould spots on walls and ceilings that are close to your roof. You also need to give your roof a thorough inspection at least once a year. If you’re not confident climbing a ladder to do this, call us today. We will be more than happy to inspect it for you. Is roof repair a better option than replacement? Generally speaking, it is a far more cost effective option to repair a damaged section of your roof than to replace the entire roof. After all, you don’t buy a new car every time the tyres become worn – you simply buy new tyres. If your roof is nearing the end of its expected lifetime, or if it was poorly installed in the first place, replacement might be the best option. However, if the roof is in generally good shape and only experiencing a few leaks you would be much better off simply repairing the damaged sections. If you have any uncertainty about this don’t hesitate to contact National Capital Roofing and we will be happy to inspect your roof and advise you on the best course of action. What are the benefits of roof repair? Aside from the obvious benefits of fixing cracks and preventing leaks, roof repair will enhance the look of your roof and add value to your home. Even better is that work to repair your roof will increase its life and help you avoid the much greater cost of replacing the entire roof at a later point. What services do National Capital Roofing offer? If your roof is beginning to struggle, National Capital Roofing can bring it back to its original glory, reversing countless years of wear and tear. Our roof replacement professionals bring nothing but the highest quality workmanship to your home, along with Australia’s most reputable roofing products. National Capital Roofing is fully certified and offers full public liability and home guarantee insurance. Our solid warranties, not to mention our proven track record of service, will give you full peace of mind. One of the greatest benefits of our business is that we have a service structure like no other, guaranteed to be there for you at any time you need us. It doesn’t matter if you notice a bit of a leak in the middle of the day or your entire roof fails in the middle of the night. Pick up the phone and we will be there to help you. We are Canberra’s experts at keeping your roof as strong as possible. 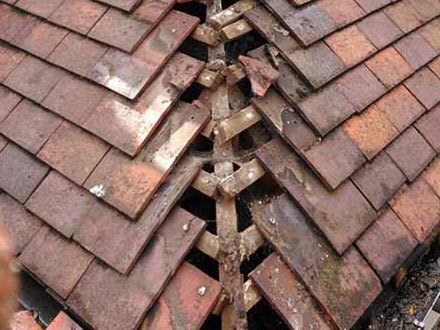 If you have any concern that your roof might need repairs contact us today and we will help you out.